Not only is the core of our offering centred on reducing the impact that people and businesses have on the environment but we also like to emphasise eco-friendliness in all of our business activities. Rather than using quick and dirty methods of cleaning, maintaining and recycling waste that often do more damage than good, we are committed to constantly finding more efficient methods of providing pipelines services. 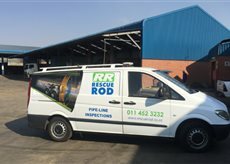 The Combination Sewer Cleaning Recycling Units used by Rescue Rod, saves you time, money and water in conjunction with an increase in productivity. Conservation, Green, Eco-friendly, Sustainable and Recyclable are all of paramount importance to us. These are words that do not come to mind when discussing sewer cleaning combination units, but they should. These units feature an on-board recycling system, which not only promises to reduce costs but also increase productivity. Recycling recoups the water you are jetting including any water that is in the sewer line making production last all day. 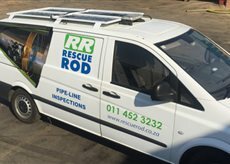 We’ve developed a CCTV pipe inspection vehicle powered by solar. Usually, the CCTV rig is run off the vehicle battery. This is less than ideal as the vehicle engine needs to be running to power the battery. 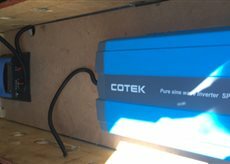 With a solar powered CCTV pipe inspection camera we don’t need to burn expensive diesel and we’re reducing our consumption of fossil fuels. 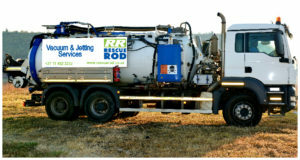 Whatever we extract and remove form a site, be it sludge, pollutants or hazardous chemicals, we maintain the highest quality standards in disposal, with all engineers being extensively trained in these methods. Waste is taken to large treatment plants, where it is processed and broken down until it is either recycled or the harmful elements in it are neutralised and the waste becomes harmless. In many instances, one piece of our equipment replaces multiple others or renders them redundant so not only do you affect the eco-system less but you’re also able to complete projects much faster than with old-fashioned methods.